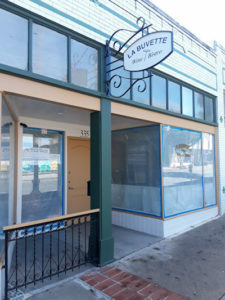 New Restaurant La Buvette Wine Bistro will be having their “Open House Meet and Greet” for First Thursday February 7th 6-8p.m. at 335 W 7th St. The San Pedro Photographers Association is preparing for February First Thursday Art Walk Exhibition. We invite the community to View a diverse collaboration of 18 talented San Pedro Photographer in a large scale gallery. Our last two exhibitions were very successful with hundreds in attendance. We thank you all for your support. Photographers who will be showing Bobby Fabro, Larry Hodgson, Mark Radmilovich, Vince Pirozzi, Lena Milos, Lisa Gregret Janine King, Blue Cloud Photography Matthew Partsch, Reidar Schopp, John Cameron, Silvia Peri, Jordon Michaelis, We welcome Tim Truby, Joel Gitelson, Amy Wading, Arturo Garcia-Ayala, Diane Gowder and Nick Bogdanovich. Enjoy the beautiful sounds of guitarist Markus Carlton. Arches on 6th, 430 W 6th Street, San Pedro, California 90731. Jimmy Cortez will be performing at Pappy’a Seafood at 301 W 6th Street from 6-9 p.m.